Too many patients leave their eye doctors office believing that there is nothing else that can be done aside from managing the disease. We know differently. The IALVS is passionate about helping people from all over North America recover their day to day functioning. Our network of highly trained Low Vision optometrists help patients throughout the United States and Canada with eye diseases such as macular degeneration, glaucoma, diabetic retinopathy, retinitis pigmentosa, cataracts, and more regain the ability to do the tasks that they want to do. We can help you find a Low Vision doctor in your area and get you started on the road to better vision solutions for a better quality of life. Low Vision is a condition of significant visual impairment, caused by an injury, eye disease, or genetics that reduces or eliminates your ability to do what you want to do. The condition cannot be 100% corrected by wearing glasses or contact lenses. A Low Vision doctor is an optometrist who is intensively-trained in Low Vision care. These kinds of eye doctors have received specialized training on the best methods of treating patients of all ages with Low Vision difficulties and conditions. Don't lose hope! The IALVS is dedicated to helping you remain independent, do the the things you love, and enjoy life to the fullest. 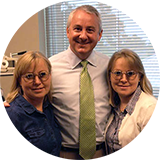 Our group of talented and skilled Low Vision doctors have your goals in mind. We can help you do more now. _ What is Low Vision? Common eye diseases include macular degeneration, glaucoma, diabetic retinopathy, retinitis pigmentosa, cataracts, and Stroke-Hemianopsia. People with Low Vision tend to have reduced visual acuity or a reduced field of view. It affects their ability to easily enjoy everyday activities, such as cooking, reading, driving, using a computer, or watching TV. The condition cannot be 100% corrected by wearing glasses or contact lenses, by undergoing a surgical procedure, or by taking prescription medications. _ What's a Low Vision Doctor? 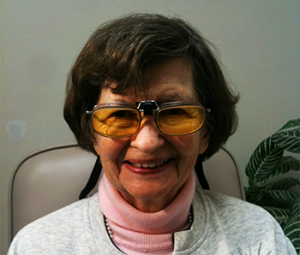 Low Vision Specialists stay current on the most advanced, cutting-edge technologies available today. 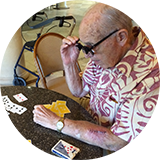 IALVS doctors have been intensively trained by renowned low vision diplomate Dr. Richard J. Shuldiner in California. IALVS eye doctors have the ultimate objective of enhancing their patients’ visual capabilities so that they can get back to doing what they enjoy. Low Vision care is a unique method of care because it considers your personal life and favorite activities, not only the extent of your visual difficulties. Low Vision specialists work closely with each patient to determine the best visual aids and devices to improve their quality of life. 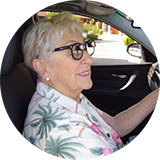 The right Low Vision aids can help you achieve the independence you desire and the freedom to drive wherever, whenever you want. We have a whole page dedicated to all the DMV Laws by State. Real patients, real stories. Discover how our experts have helped countless patients thrive. We’ve achieved real results, like…. They may look ugly, but they are beautiful to me. When they first told me I had macular degeneration, I asked ‘What’s that?’ It’s amazing. I’m so thankful for technologies like these. I used my new glasses to play in a bridge tournament and won second place! I could not have done it without these glasses. I see better. I feel better. I have more confidence in walking around. If you’re ready to achieve the freedom to manage your everyday activities on your own, if you want to reclaim your life, then it’s time to speak with our experts. Let us help you find a Low Vision eye doctor in your area. Get ready for a whole new vision experience. The International Academy of Low Vision Specialists (IALVS) believes in LIFE AFTER VISION LOSS.